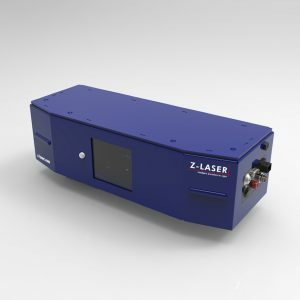 Z-laser manufactures lasers for the composites industry. 2D and 3D laser projections are used in all production processes in which fiber composite materials are processed. Laser projectors help, for example, when displaying first patterns, or patterns for the final positioning of the material. 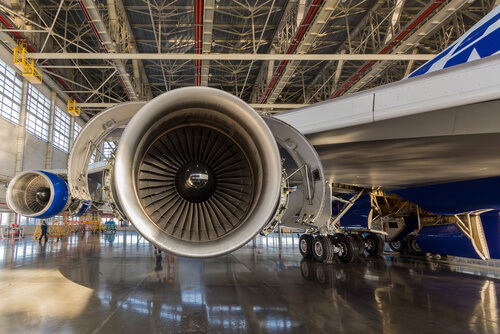 In aircraft manufacturing, lasers have already been used successfully for material alignment and tool positioning during assembly. In the future, however, more and more components made of composite materials will be used. As a result, supporting the manual laying process of fiber mats (CFK layers) with the aid of laser projectors is becoming increasingly important. Strong visibility of laser projections and compliance with laser performance classes for employee safety. Weight reduction plays a very important role in vehicle construction. To achieve this, composite materials such as fiberglass or carbon fiber are increasingly used for the purpose of creating vehicle components. Initially, these materials were used only in the interior of the vehicle, e.g. sight carbon for a sporty quality. In the case of electric vehicles, there is a trend reversal in which load-bearing parts, such as vehicle frames, are made of carbon-fiber-reinforced plastic. Laser projectors also support the manual laying process of CFK layers and display surfaces to be cleaned. The manual laying process of glass fiber matrices and prepregs in the production of wind rotors can be simplified and accelerated with the aid of laser projectors. A laser projector can display the contours of each fiber mat in the design so that the layers can be quickly, easily and precisely positioned and aligned. The projectors have interfaces for common 3D CAD formats. Laser projectors increase productivity by up to 30%, improve quality (the homogeneous structure of the wing), reduce errors, and guide employees intuitively through the production process. Positioning of fiber mats, prepregs and carbon fiber decals: Our laser projectors have been specially optimized for complex positioning and alignment applications. 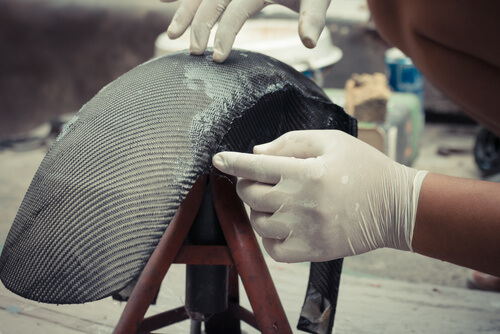 They project the contours of each fiber mat or decal to be placed in the mold so that production staff can position and align the layers quickly and accurately. The projector has interfaces for all current 3D CAD design programs, and can display contours even on curved surfaces. It combines the advantages of the contour display with those of computer control in order to simplify the production of complex composite components. As soon as the complete laser projection is displayed, the laminator recognizes where it needs to place the fiber mat, prepreg, balsa, and bracing or vacuum suction. This not only improves operation efficiency, but also improves quality by reducing errors and thus manual rework. Individual letters, text, or numbers can be projected in order to define specific projection patterns. Depending on your manufacturing process, either the entire contour of the composite workpiece can be displayed, or else the individual elements such as prepregs or decals. For questions about a project or any of our products, please feel free to contact our friendly consultants.